Below is an article I co-wrote with a Canberra-based history academic Chris Monnox regarding last year’s federal Labor leadership ballot. it was published in the Canberra Times just before the result of the ballot was officially declared. 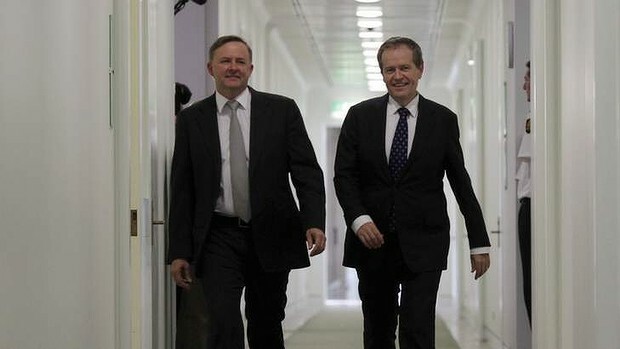 Labor’s Federal Leadership ballot has been a valuable recruiting and organising opportunity for the ACT Branch of the Party, as it has for each state and territory branch. Eligibility to vote in this historic ballot was bestowed on everyone who was a member of the ACT Branch of the Australian Labor Party on 7 September. Around 1,000 people in the ACT joined 50,000 across Australia and had an opportunity to have a direct say in who would be the next Labor Leader. Labor is the only party in Australia that gives its ordinary members this opportunity and it signals a new era of reform and participation within our party. As national secretary George Wright told Sky, there is a “big appetite” for participatory democracy. 1. Membership has increased. More new members have joined and more existing members have renewed their membership. The enfranchisement of all members, regardless of length of membership and amount of meetings they have attended was a stroke of genius. It gave an immediate reward to all the new recruits who signed up on the battlefield of the 2013 campaign. 2. The ballot has been an opportunity to test real-life grassroots engagement and communication skills for many experienced and new hands. The ultimate test in genuine democracies is popular support. This ballot has been a test of messages, networks, campaign techniques, and in some cases relationships and loyalties. All this adds to the campaign capacity and skills base of the party and enables better outcomes in future public contests. 3. The candidates have led by example in ensuring mature and convivial competition and debate, without resorting to personal attacks, despite regular baiting from the mainstream media and the party’s numerous external (and sometimes internal) critics. This has been particularly cathartic following the end of the most recent Gillard-Rudd leadership contest. 4. The numerous leadership forums and seminars and debates have ensured a new pattern of regular interaction between the leadership of the parliamentary wing of the party and the membership of the party. The ACT Branch experience is that these interactions are normal, with relatively easy access to our elected representatives. The public display of this access and its reinforcement at all levels will make the party stronger in the future. 5. The federal leadership ballot has utilized a new acceptance (some say obsession) within modern politics of the latest communications tools. Not only did the candidates and their organised teams supporters use the latest communications techniques more effectively than ever before, the party membership and supporters also used new techniques to engage directly with each other and these new techniques complemented well more traditional town-hall style meetings and telephone conferences all over the country. 6. Not all the administrative and organising for this ballot has been conducted by the formal party administration. The loose networks which are a normal part of any human social activity, normally referred to as “factions” in politics, have also played an active role. And (surprisingly for some) the factions behaved very well. The previous PM might be alarmed to learn that one outcome of his innovative decree has been the evolution of the national factions to a point where they have, in a matter of weeks, demonstrated consistent sophisticated and diplomatic communication and organisational techniques and skills. Factions are an inevitable and normal part of democratic politics, but for too long in Australian politics the downside of factions dominated the public discourse. If they behave in a mature and intelligent manner, organised groups of adults (teams in sporting parlance) can achieve great things. When the major groups or factions in an organization can compete AND cooperate fairly, the whole organisation can benefit. After this ballot, we also now have a clearer line of leadership and authority within the two main factions that will make future cooperation, consultation and negotiation simpler and more efficient. These have been the benefits. There have been costs as well, most obviously opportunity for the party’s regular critics to accuse it of “navel-gazing” and “in-fighting”, despite the obvious examples of policy debate and organisational success the ballot has brought. The ballot has also been hard work. When asked what her favorite part of the leadership ballot was, a young party members instinctively responded “it’s about end, thank god”. Unfortunately it’s hard to imagine that the future timing of these ballots will not inevitably coincide with the end of a hard-fought campaign, so the participants will inevitably be exhausted until both end. This process of evolution for this ballot is continuing. From an ACT perspective the democracy has been superb and the opportunity for our local political activists to participate fully in such a historical initiative has been wholeheartedly welcomed. This sentiment has been shared in every city and town which has had an opportunity to host a candidate’s forum, or two (as was the fortunate case in Canberra). This article represents the personal views of the authors. Elias Hallaj has been the ACT Labor Secretary since 2009 and was previously an Assistant National Secretary of the ALP. Chris Monnox is a PhD Candidate in political history and recently wrote an extensive history of the ACT Branch of the Australian Labor Party as part of his research at ANU. This entry was posted in Campaign Techniques, Political Science and tagged campaigning, federal, labor, leadership ballot, politics.